So Part 2 of Melting that Muffin top is here, if you missed part 1 you can find it HERE. With any weightloss journey food intake is a huge part of success, and measuring/tracking your food intake can be quite hard at times, but with a little help from a food scale you can accurately keep track of everything! 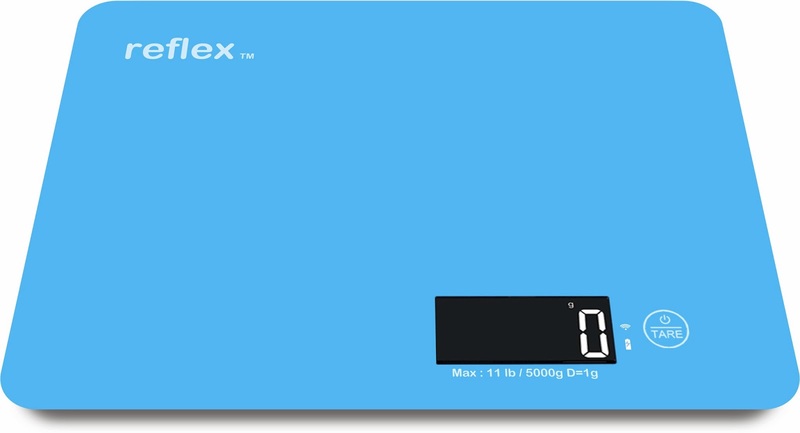 I was just sent an AMAZING new food scale for review and I was blown away by it! 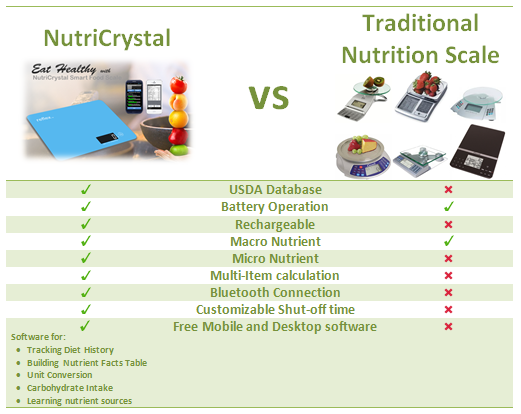 The NutriCrystal Wireless Smart Food Scale is the world's first Bluetooth Smart Ready Food scale that comes with a huge selections of mobile applications in iOS and Android to help people track their daily nutrient intake. 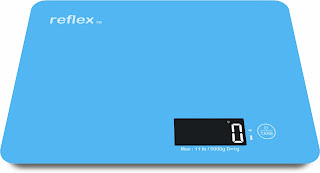 This scale is ideal for people who are trying to get healthy and loss some weight. You can use the scale to do portion control home cook meals, and actually know what amount of a food you are actually eating. Also Parents with type I diabetes children use our scale to educate their children how much carbohydrate their children have consumed, Body Builders use our scale to track the sources of their protein intake, and Individuals who want to make sure that their family members and themselves are receiving sufficient vitamins from their daily food consumption. 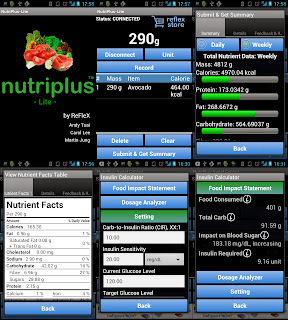 This scale fully automates the process of food measurement. Information is streamed wirelessly to your phone or other device. 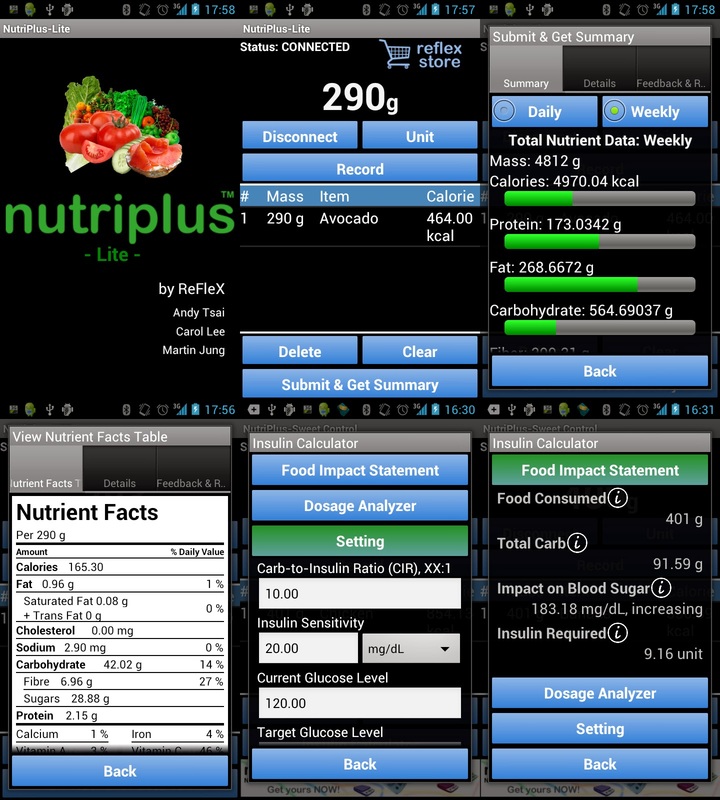 In addition to tracking the amount of your nutritional intake, the software provides summary reports on nutritional consumption and compares the result to national standards or among your friends. This is a amazing scale that you will want to take with you everywhere you go. It’s sleek enough to fit into an iPad sized pouch- take it with you on vacations or wherever and easily track your food intake all the time! So how does it compare to other traditional food scales? Overall if you are looking for an extra step in any health/ weightloss journey a food scale is what you need and more importantly a really really good food scale like the NutriCrystal Wireless Smart Food Scale! Such a cool and smart scale. Thanks for the review. I'm also looking at purchasing this. 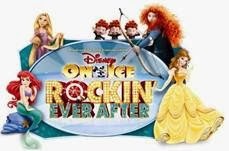 Haven't seen a bad review yet.